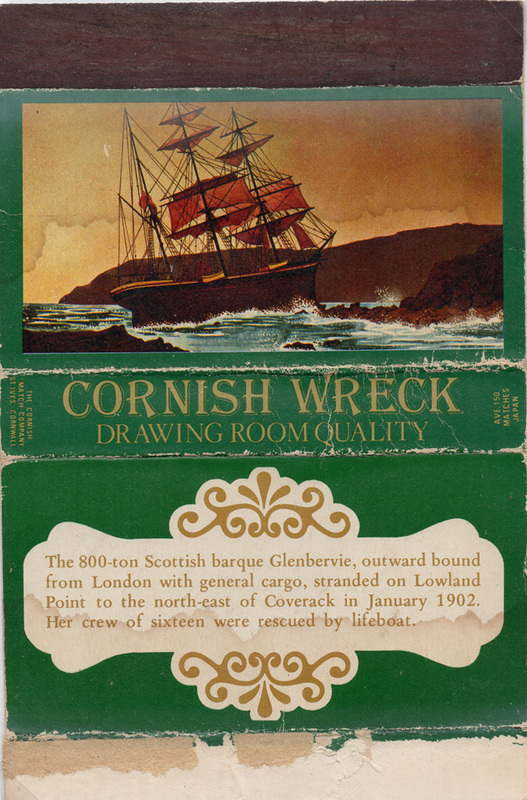 The 800-ton Scottish barque Glenbervie, outward bound from London with general cargo, stranded on Lowland Point to the north-east of Coverack in January 1902. Her crew of sixteen were rescued by lifeboat. Glenbervie appeared on a single “drawing room quality” skillet in Issue 24 made during 1980 by Kobe Match Company, Japan.